See additional entry for the WDP. 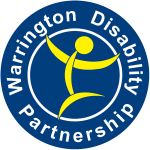 In addition to the support and services available (see other entry for the WDP) we also have an Employment Team who offers a service to help disabled people into employment. 1. Job finding: For those customers ready for work we offer one to one guidance and assistance in finding the right vacancies to apply for, using a variety of jobsearch sites and our local information. 2. Job coach: If you are unsure of how you will be able to cope in work, we can provide a jobcoach to guide you through the first few days or weeks as appropriate. 4. Volunteering: To help build confidence and get into a working routine we will assist in getting relevant volunteering experience. This can be especially important for those with little employment experience and can be added to a CV. 5. Jobsearch sessions held weekly at Beaufort Street, 2-hour sessions covering skills and strengths, writing CVs, telephone skills, speculative approaches, application forms and interview techniques. Due to our knowledge of the many services available to our customers we are able to introduce you to services which may assist you in building a future; these include childcare, benefits advice, counselling services, housing services, debt advice and others. We also offer a range of leisure activities which are suitable for people with disabilities. Who are the services most suitable for? The Employment Team: Our service is user led and available to all Warrington residents. What languages other than English are spoken? Is translation available? Translation servcies can be booked on request. Employment Team assistance: drop in or referrals can be made by Social Care, Health care professionals, Job Centre Plus, Housing associations. People can self refer. Appointments are made to meet clients needs.